Unionist Voice is a new and exciting venture for all of us involved. The site aims to provide a platform to the most marginalised and voiceless sections of the Unionist community and will do so in a fair and balanced manner. This site will make space for alternative views and all of those who wish to contribute will be given a fair opportunity to use the platform to articulate their views and political arguments. Many may suggest that this site will simply become a propaganda site for my own anti-agreement political viewpoint, yet nothing could be further from the truth. Unionist Voice is unashamedly Unionist, but we will provide a platform for all sections of Unionism regardless of personalities or political viewpoint. I will carry out my role as editor of the site in an impartial manner and if there are views different to my own, then these will receive equal prominence on the site. Loyalism has argued, quite often fairly, that the mainstream media has not given our community a fair crack of the whip. Whilst this is sometimes true, I have also felt that we could have done more to articulate our message publicly in a more professional manner. I make the argument that it is easy to demonise an empty chair or write a negative story if there isn’t a counter balance provided by virtue of the subject of the piece providing a comment outlining loyalism’s position. I use the example of going to a hotel. If when you arrive at reception to check in the staff abuse you, tell you to “f**k off” and threaten you with violence, are you likely to write a positive review on trip advisor? The same goes for engagement with the mainstream media. If we are angry, abusive and threatening then can we really complain when we receive negative coverage? It is within that thought process that Unionist Voice has its roots. It is an attempt to provide a platform to the most marginalised sections of the Unionist community and to facilitate more positive media engagement within the context of a changing media world. I have been lucky enough to have been afforded a platform for my opinion pieces and space to articulate my views by a variety of outlets including the Nolan show, the News Letter, the Irish News, BBC TalkBack and via impressive online platforms such as EamonnMallie, Slugger and Long Kesh Inside Out. Many of these platforms received much criticism for carrying what some describe as my ‘controversial’ views. Within the online world Eamonn Mallie was especially resolute in defending the right of independent thought and providing a platform to not only me, but many others with ‘unfashionable’ views. The majority of criticism comes from those that themselves demand a platform but due to the lack of recognition afforded to their work, they direct their hatred at those they believe are ‘not worthy’ of having their views carried. It is a form of self-loathing and self-sabotaging in order that they can justify in their social circles why someone like me, who in their eyes is beneath them, would be provided with a public platform whilst they are reduced to tweeting furiously and trolling. It is snobbery and intolerance of the worst kind. At Unionist Voice we want to provide a platform for those whose views are dismissed by the ‘Twitterati’, and others who believe it is their right to dictate who should and shouldn’t be listened to within Northern Ireland. We want Unionist Voice to exist for the people who never have an opinion piece published in the mainstream media but who have an important argument to make. The news agenda of the mainstream media is increasingly being shaped by online news. What is popular on social media or online blogs often finds its way up the food chain and into the mainstream media. 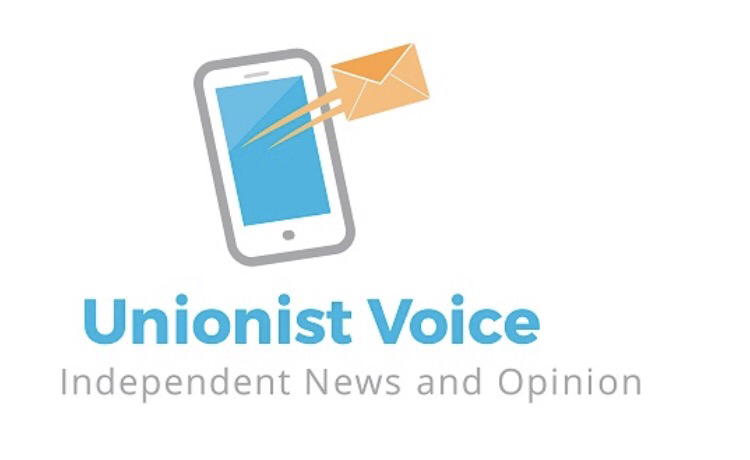 Unionist Voice aims to provide a professional and well rounded narrative in relation to events important to the Unionist community at a grassroots level. If we can achieve this then I believe that we can influence the angle taken by the mainstream media when online stories move up the food chain to established newspapers and broadcast outlets. Unionist Voice will have reports on local sports clubs, community development, women’s education and of course the important breaking news stories of the day. We will also provide balanced analysis on issues important to the Unionist community and accept opinion pieces from a broad range of contributors, including prominent Unionists and members of civic society. There is an excellent team working alongside me volunteering their time to provide this platform. Some with expertise in sport, community development and women’s issues. We hope to provide a strong variety of coverage and offer a voice to the voiceless within our community.